Let’s face it, there are certain things that all houses should have: bedroom, kitchen, lounge, secret room concealed behind a bookcase. Now obviously not everyone has enough space for a hidden room in their house, others are lucky that their house has a roof. Clearly the secret room hidden behind a bookcase is the domain of the rich. But it has recently come to my attention that some rich people have failed in their duties as rich people. 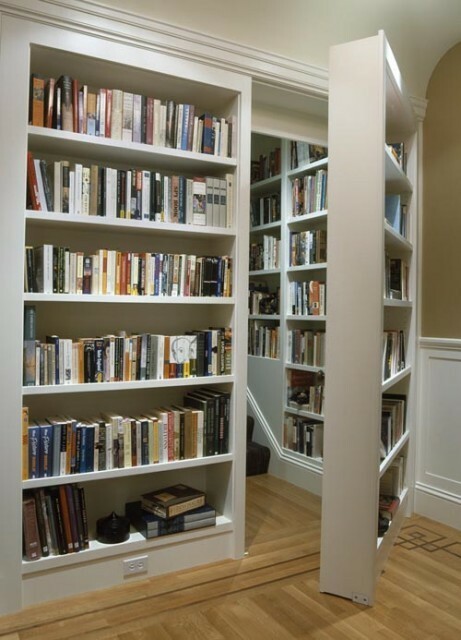 If you are wealthy and you don’t have a bookcase that conceals a hidden passage or room, then you are going about being wealthy the wrong way. In the interests of society, please donate your wealth to someone who will spend it more wisely.